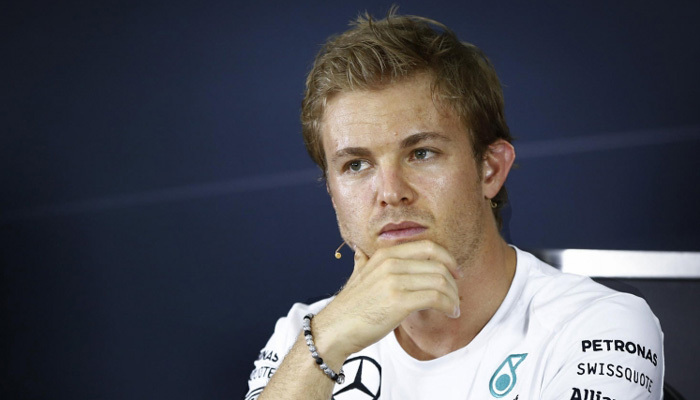 Nico Rosberg has paid his dues as a Formula One driver. Rosberg made his Formula One debut in 2006 and it took him until 2012 to win his first career race when he won the Chinese Grand Prix. Steadily Rosberg continued to chip away, and by 2009 he finished ninth in the driver standings. In 2012, Rosberg joined the famed Mercedes AMG Petronas Team. But a year later, the same Mercedes team would sign Lewis Hamilton who had already one Formula One Championship to his credit and he would immediately become the face of Mercedes in Formula One. The last two years would see Hamilton win the Formula One Title with Rosberg in second place. And although that Rosberg and Hamilton are teammates, there was an outward frustration from him as he was tired of taking a backseat to a driver that was the new face of Formula One. When Hamilton won the Formula One Title last year, he did so with three races remaining in the season which took away from the romanticism of the circuit. But just because Hamilton had already begun pouring the champagne, it didn’t mean that Rosberg should have stopped working. Rosberg would be the pole sitter for the final six races in 2015, but he had to watch Hamilton take home the checkered flag in the first three races over that stretch. However Rosberg would get to the winner’s circle in the final three races of the season which allowed him to take some momentum into the off-season. The momentum that Rosberg had at the end of 2015 has carried over to 2016 as he is the one that has won the first two races of the season in dominating fashion with Hamilton taking a backseat in second. It’s also been a role reversal as Hamilton has now been the pole sitter to start the races, but it is Rosberg who has been getting to the winner’s circle. Overall, Rosberg has won the last five Formula One races as he is looking to emerge from the large shadow the Hamilton has created at Mercedes in order to establish his own legacy on the circuit. Rosberg might not show the same outward exuberance towards Hamilton when he wins due to the fact that he is hungry for what the defending champ has as the wolf that is climbing the mountain is already hungrier that the one that is already at the top. Last year Rosberg finished second in a race on seven occasions, and although that there’s much joy for a driver to reach the podium, you still want to have your country’s national anthem played last. Rosberg shares the same Mercedes garage with Hamilton along with being under the banner that has won the last two constructors championships on the circuit, but he is not there to just be recognized globally as Hamilton’s teammate as a championship in 2016 would go a long way in getting him the much needed respect that he deserves.